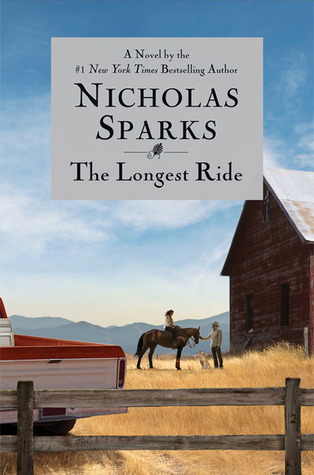 Yay, another Nicholas Sparks book! I am giddy with excitement. Let the romance begin! Oh Mr. Sparks. You sure know how to pen the most perfect, swoon worthy characters. Can I have Luke for Christmas? Nicholas Sparks! Why do you do this to me every time. Just when I thought I knew where the story was going, you flip the script! I didn't see that coming. I'm so happy!! I can't believe it, a Nicholas Sparks book that didn't make me cry. Only one more chapter left! Whoa boy! That is pretty much the only way I can sum of this amazing, heart-warming novel. Nicholas Sparks, you did it again! I've learned to never read the ending of his books while in a public place. Sobbing uncontrollably on a transatlantic flight is most embarassing. This makes me so happy. Those .gif's (that's what they're called, right?!) Oh, I'm going to cry I'm giggling so much.